Napoleon took control of Egypt. 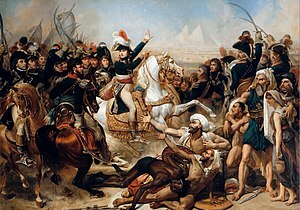 Napoleon escapes in August 1799 and leaves troops in Egypt. Architecture: House of Parliament in London. Edgar Allan Poe-A Tell Tale Heart, The Fall of the House of Usher, and The Raven. Allowed Third Estate to achieve wealth, status, and security for their property. Allowed peasants to gain the land that they had always wanted and had destroyed oppressive feudal privileges. Concordat with Pope Pius VII. Required the refractory clergy and those who had accepted the revolution to resign. Declared, "Catholicism is the religion of the great majority of French citizens." Safeguarded all forms of property. Tried to secure French society against internal challenges. Privileges based on birth remained abolished. Women lost many of their rights. Pope Pius VII came to coronation and then agreed that Napoleon should crown himself. The emperor's power and authority was to be seen as not dependent on the church. Leadership skills, large armies, and surprise tactics. Replaced Holy Roman Empire with French-controlled Federation of the Rhine. Cut off half of Prussia - Grand Duchy of Warsaw. Conquered throne rulers were French supporters. 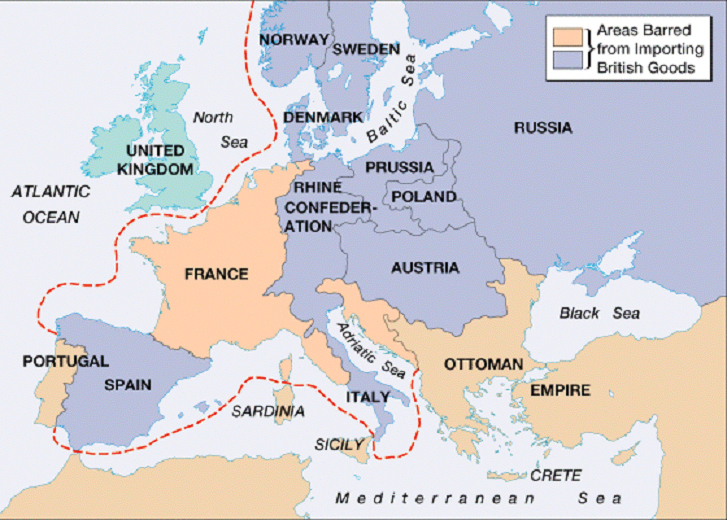 France tried to invade Great Britain. French defeated by Horatio Nelson at the battle. Nelson was killed in this naval battle. No trade between the European continent and Great Britain. Great Britain responds with blockades. Continental System failed because European countries wanted and needed trade - black market. Russia becomes an ally of Napoleon. Prussia lost half its territory. Deprived Austria of much territory and 3.5 million subjects. Napoleon assembles army of 600,000 soldiers to invade Russia. Russians use scorched-earth policy to starve the Grande Armee. Napoleon pulled out and returned with only 20,000 soldiers. Alliance of Austria, Great Britain, Prussia, and Russia. Defeated Napoleon at the Battle of the Nations in Leipzig. Abdicated and exiled to Elba in the Mediterranean. 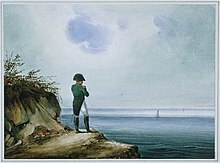 Napoleon exiled to St. Helena in the South Pacific. Died in 1821 on St. Helena. French army was still loyal to their former emperor. Regained French power and promised a liberal constitution and a peaceful foreign policy. 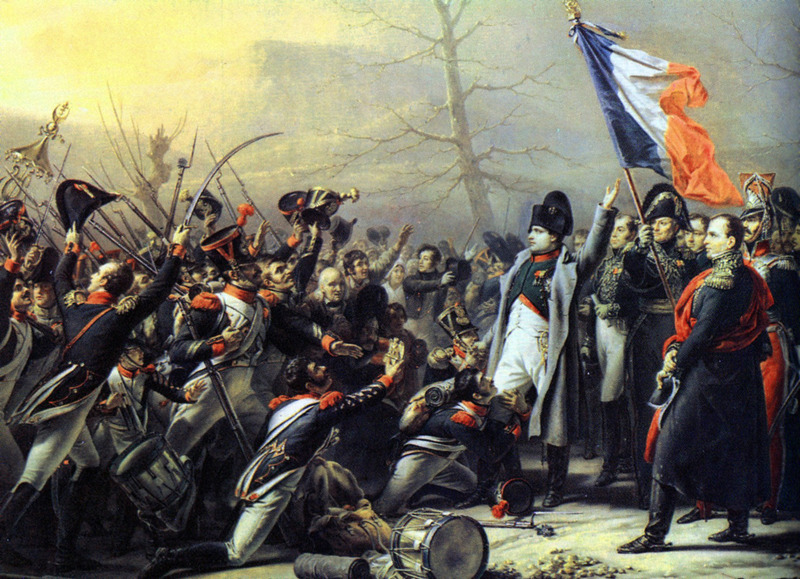 Napoleon marched triumphantly into Paris. Made the peace settlement harsher for France.